Amazon’s Alexa has been able to control some smart home products, like Belkin WeMo switches or certain Wi-Fi-connected lightbulbs, for many months, but the intelligent assistant hasn’t been able to control your doors. Well, until now. 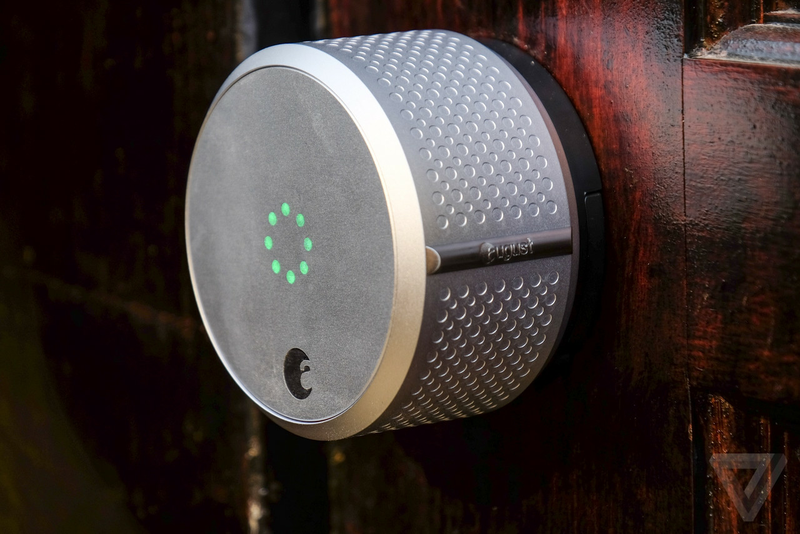 Amazon said this morning that it has partnered with San Francisco-based hardware startup August to allow Alexa to control August door locks. This means that you can say to your Amazon Echo speaker, “Alexa, lock the door” and, provided that your Amazon and August devices are connected to the same Wi-Fi network, the door will lock. It is the ultimate lazy person move, perhaps even more so than using your voice or an app to turn off your lights when a light switch is an arm’s length away. A few things worth noting: first, this is the first smart lock Alexa works with. Second, you can’t use Alexa to unlock your door, because that would pose some security issues if someone could stand outside of your door or a window and simply shout to open your door. Last but not least, you need more than just the $199 August lock in order to make this all work — you’ll need the $79 August smart bridge that wirelessly connect to the lock, too. Between that and the cost of an Echo, that’s a high price to pay for locking the door while you’re right there at home. That is all.